According to the DoJ, a Canadian man who led a multi-million dollar tax fraud conspiracy was sentenced on August 28, 2018 to 60 months in prison. According to documents filed with the court and evidence introduced at a related trial, Daveanan Sookdeo, 46, formerly of Ontario, Canada, promoted a scheme in which Canadian citizens filed false tax returns with the Internal Revenue Service (IRS) that fraudulently sought nearly $10 million in income tax refunds. After the participants in the scheme received their tax refunds, they travelled to the United States where they opened bank accounts at various financial institutions to deposit the refund checks. The coconspirators then moved the money back to Canada by wire transfers and other means. The fraudulent tax filings resulted in actual losses to the government of over $3.5 million dollars. Sookdeo profited from the scheme by charging his coconspirators an upfront fee for the false documents used in the scheme, as well as a percentage of any tax refunds obtained through the scheme. Sookdeo worked with Ronald Brekke, a coconspirator in California, to prepare fraudulent Forms 1099-OID that participants in the scheme attached to their false income tax returns. Sookdeo also personally filed nine false tax returns and obtained a tax refund check in the amount of $73,662.25. and Later Extradited to the United States. In May 2018, Sookedo pleaded guilty to conspiracy to defraud the United States and to commit theft of government funds, and filing a false claim against the United States. In addition to the term of Imprisonment, Sookdeo Was Also Ordered to Serve 3 Years of Supervised Release and Pay Restitution to the IRS in the Amount of $3,553,303. Sookdeo is the fifth Canadian citizen to be convicted, and the second to be sentenced, for his role in this scheme. Contact the Tax Lawyers atMarini & Associates, P.A. 1. The group’s “footprint.” Where do the activities of business take place? 2. 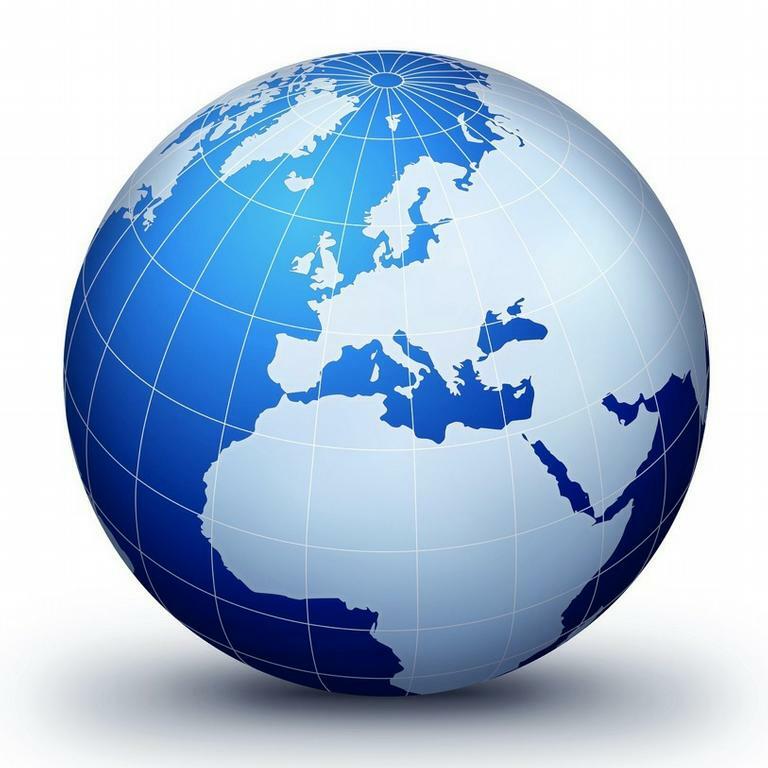 Has the enterprise shifted low-risk activities into a high-tax jurisdiction? 3. How important are related-party revenues compared with total revenues? 4. How does the company’s key financial ratios differ from those of the industry? 5. Do the company’s results differ from industry market trends? 6. Do the company profits compare with the company’s activities in the jurisdiction? 7. Does the company have high profits in low tax jurisdictions? 8. Has the company shifted its intellectual property from actual activities? 9. Does the company make us of dual resident entities, entities with no tax residence, or stateless entities? 10. Do current activities and entities substantially differ from past activities? On July 24, 2018 we posted Understanding IRS Tax Audits - Part I where we discussed that careful advance preparation can help reduce the scope of a tax audit or examination and can lead to a more favorable outcome. Although a thorough understanding of the underlying facts and applicable law is a must, understanding IRS procedures is critical to preserving a taxpayer’s rights. We have summarize below and in Parts I & III some of the more important IRS procedural rules and guidelines governing civil IRS examinations and audits, including: how returns are selected for examination; a brief description of the types of civil examinations; an explanation of the tools available to IRS examining agents and revenue agents; dispositions in IRS audits or examinations and, if necessary, where to seek relief from an unfavorable result in an examination or audit. When possible, the taxpayer’s representative, not the taxpayer, should interact with the agent. Indeed, in most cases, the meetings should take place at the representative’s office, not the taxpayer’s place of business. Direct contact between the agent and the taxpayer (or taxpayer’s employees) should be minimized. Agents are trained in interviewing techniques designed to elicit information. They will ask open ended questions, and will listen carefully to the responses. Taxpayers who meet with an agent should be careful to answer only the question asked. Absent having been served an administrative summons, a taxpayer has the right to refuse to be interviewed. Although, historically examining agents have been reluctant to press for taxpayer interviews, examining agents have become more aggressive in seeking taxpayer interviews and using summonses to compel them. If interviewed pursuant to a summons or otherwise, the taxpayer has a right to counsel and may assert appropriate privileges. Care should be taken to create a complete record of all information provided to the examining agent. Maintain a detailed record of all documents and records provided to the examining agent. Maintain a record of any oral communication with the agent whether in person or by telephone. Confirm any material oral agreements in writing. During the examination, the agent may request various types of documentation to verify items of income and expense on the return, including records, such as receipts, invoices, books, and worksheets. Revenue agents may also review prior or subsequent tax returns or the returns of related taxpayers. Generally, agents have broad powers to compel production of relevant information. Nevertheless, certain types of information may be subject to privilege or otherwise not subject to compelled production. Once provided, the privilege is likely to have been waived. For example, an agent may ask to see invoices to substantiate a deduction claimed for professional services, such as accounting or legal fees. The descriptions of the services provided could contain information leading to another adjustment. If the descriptions of the services may be privileged, the taxpayer may be able to withhold the actual invoices in favor of some other proof of payment, or may be able to provide redacted invoices. 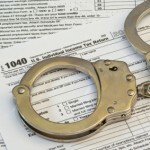 There has been much discussion about whether tax work papers can be so compelled. Tax work papers prepared in connection with the preparation of the tax return can be reviewed. However, audit accrual work papers, which may reflect opinions and estimates related to questionable items on the return, present a more complex question. Agents are cautioned in the Internal Revenue Manual to exercise restraint in this area, but the Service is becoming more aggressive, particularly where listed transactions are involved. Keep in mind that the taxpayer’s books and records may contain confidential information of another taxpayer, such as IP or the terms of a contract. The taxpayer may be under a contractual obligation to keep this information confidential. If the agent can not be convinced to accept redacted documents, the taxpayer may want to decline to produce the document unless an administrative summons is issued compelling its disclosure. An agent will typically request documents and other information by issuing an Information Document Request (Form 4564). Initial requests at the beginning of an examination are typically fairly broad with subsequent requests focusing on specific issues. Keep careful track of IDR requests and items produced. Always maintain a duplicate copy of any documents that are provided and include a transmittal letter with any response describing the documents produced. If a taxpayer fails to produce requested items, the Service can summons a taxpayer or third party for books, records or testimony. Agents are directed to make an attempt to obtain information informally before issuing a summons. Agents are instructed to consider issuing a summons when a taxpayer fails to make requested records available within a reasonable period of time; where the records submitted are known or suspected to be incomplete and the examining agent believes that additional records containing relevant and material matter may be in the possession of the taxpayer or a third party; and when the examining agent is in doubt as to the availability of pertinent records and wishes to obtain oral testimony as to what records may exist and their location. When an administrative summons is issued, the summoned person must personally appear at the time and place specified with any requested items. The summoned person has the right to counsel, the right to assert the attorney-client privilege, and the right to raise the self-incrimination privilege under the 5th Amendment. The IRS can issue administrative summonses to third parties believed to hold relevant information. Notice of summons issued to a third party must be given to the taxpayer within 3 days of the date on which service is made to the third party and no less than 23 days before the summons return date. This is to allow the taxpayer sufficient time to file a petition to quash. 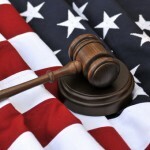 If a summoned party ignores the summons or otherwise fails to fully comply, the Service may bring legal proceedings to enforce the summons in federal district court. A court will generally enforce a summons if there is a legitimate purpose for the examination; the information demanded may be relevant to that purpose; the information is not already in the possession of the Service; the information or document is not privileged and the Service has complied with the applicable administrative requirements of the Code and regulations. 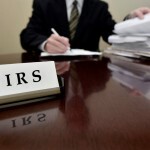 Have a IRS Tax Problem? A district court in Retfalvi v. U.S. (DC NC 8/15/2018) 122 AFTR 2d ¶2018-5144 , granted the government's motion to dismissed a taxpayer's refund suit for failure to state a claim where the taxpayer paid and then sought to recover from IRS an amount he paid based on his Canadian tax liability and Canada's collection assistance request under the U.S. - Canada Treaty. 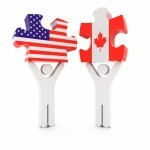 The U.S. - Canada Income Tax Convention includes Article 26A, which is entitled "Assistance in Collection" and allows each state to request the assistance of the other in collecting revenue claims from their own citizens who are living within the other country. Specifically, Article 26A obligates each sovereign to undertake to lend assistance to each other in the collection of taxes referred to in paragraph 9, together with interest, costs, additions to such taxes and civil penalties, referred to in Article 26A as a "revenue claim." Paul Retfalvi, originally from Hungary, moved to Canada in '88 and in '93 became a Canadian citizen. Later he found a job in the U.S. and remained there to practice medicine on an Hl-B visa. In 2006, he sold two condominiums in Canada and declared the proceeds on both Canadian and U.S. tax returns. The Canadian Revenue Agency (CRA) completed its audit on these two transactions, and, on Oct. 3, 2011, because Mr. Retfalvi chose not file an appeal with the Canadian Tax Court, the liability was finally determined, resulting in a Canadian tax assessment. Mr. Retfalvi did not pay the amount owed to Canada, and thereafter the CRA sent IRS a Mutual Collection Assistance Request pursuant to Article 26A of the US-Canada Income Tax Convention. IRS sent Mr. Retfalvi a "Final Notice-Notice of Intent to Levy," demanding that he pay the current amount owed to Canada, which totaled $124,287. On Dec. 22, 2016, Mr. Retfalvi paid the assessment. On Feb. 24, 2017, he filed a refund claim with IRS, which it rejected on June 15, 2017. On Sept. 14, 2017, Mr. Retfalvi filed suit for a refund, challenging the constitutionality of Article 26A. 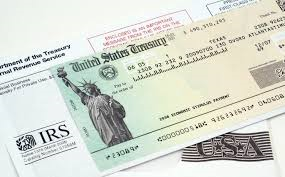 Article 26A created an impermissible sub-classification of U.S. taxpayers (because it did not apply when the taxpayer could demonstrate that the revenue claim related to a tax period in which the taxpayer was a citizen of the requested State). The district court rejected all the arguments put forth by the taxpayer. The court concluded that Article 26A did not violate the Origination Clause for at least two reasons: (1) it was not a bill; and (2) it did not impose a tax, increase a tax, or decrease a tax that was created to fund the government generally. The district court rejected Mr. Retfalvi's argument that the U.S. Constitution, Article I, section 8 grants Congress the exclusive power to "lay and collect taxes" and so prohibit the President from entering into a treaty concerning taxes. 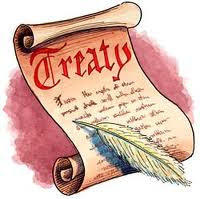 The court said that because the Constitution granted the President the power to enter into treaties, the President may use his treaty powers to dispose of U.S. property. Accordingly, the district court reasoned that although the Taxing Clause provides that "Congress shall have power," this language did not grant Congress exclusive power. Further, the court found that Article 26A did not amend Code Sec. 6201 and Code Sec. 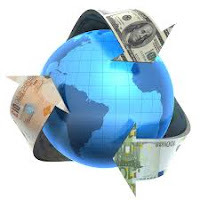 6301 by authorizing IRS to assess and collect taxes that were not imposed by the Code and treating a Canadian revenue claim as an assessment under U.S. law. Accordingly, Article 26A and the Code do not conflict. To the extent that Mr.Retfalvi contended that Article 26A was invalid because it was not self-executing, the court reasoned that a treaty is not self-executing if the agreement would achieve what lies within the exclusive law-making power of Congress under the Constitution. And, Article 26A does not infringe on any of Congress's exclusive power and is self-executing. Mr. Retfalvi claimed that Article 26A, by precluding the U.S. from reviewing the validity of Canada's revenue claim, violated due process because it denied him administrative and judicial review available under Code Sec. 6213 and Code Sec. 6330. Here, Mr. Retfalvi was provided with the right to file an appeal with the Canadian Tax Court. Mr. Retfalvi failed to plausibly allege that the procedures afforded to him under Canadian law violated the Due Process Clause. In addition, the district court also rejected Mr. Retfalvi's argument that Article 26A denied him equal protection because he was not provided with the same administrative and judicial remedies available to taxpayers with U.S. tax liabilities. The court noted that the Fifth Amendment Due Process Clause contains an equal protection guarantee which forbids arbitrary differentiations among groups of persons who are similar in all aspects relevant to attaining the legitimate objectives of legislation. Mr. Retfalvi failed to plausibly allege that Article 26A treated him differently from others with whom he is similarly situated.